This is the other film along with “Menace II society” that I had never watched. 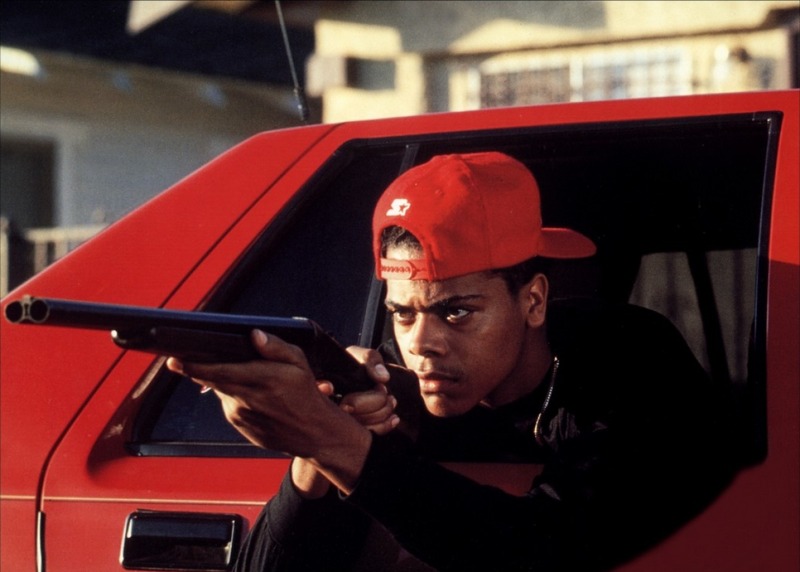 It is very similar to Menace II Society, but so real. 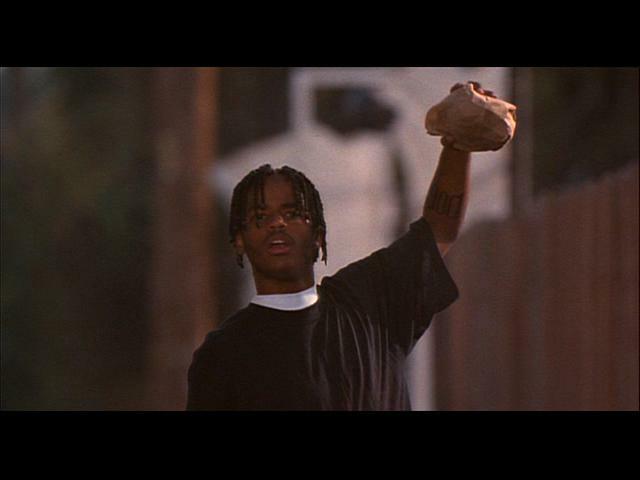 In Menace II Society you could be watching the film and next thing someones getting killed, it was always a surprise. 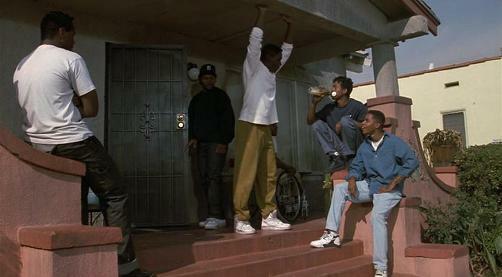 In Boyz n the Hood you can kind of guess when something was going to happen. There is also humour in parts and it’s not as serious. 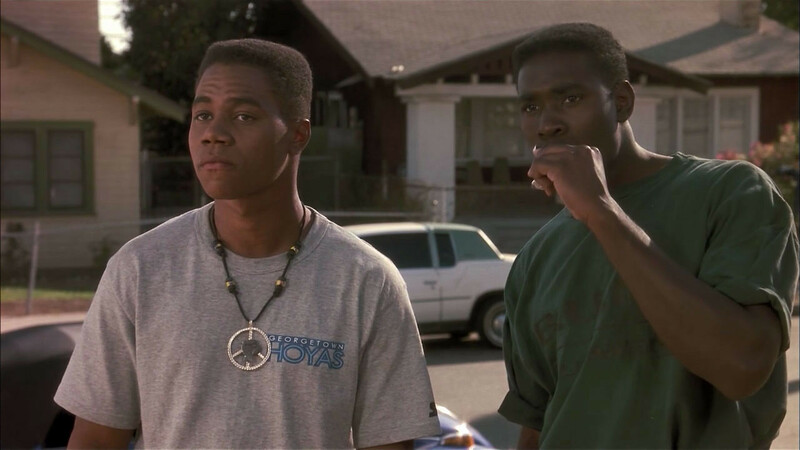 Tre played by Cuba Gooding Jr is sent to live with his father by his mother (Angela Bassett) after he keeps getting into trouble at school. His father played by Laurence Fushburne is a great role model and tries to give Tre the best strict upbringing, so that he can succeed in life. 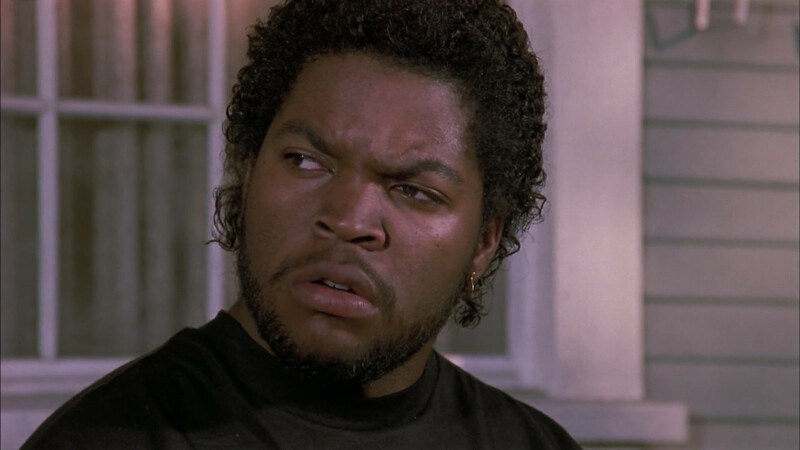 Doughboy (Ice Cube) and Ricky (Morris Chestnut) both brothers are Tre’s best friends. Ricky is a talented athlete an hoping to go to university on a scholarship and Doughboy is in an out of prison and is in the life of drugs, gangs, guns and crime. The film is not focused on crime in the hood, instead it shows how easy it is to get caught up in it even if your not in a gang. 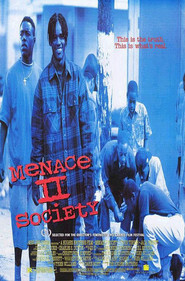 This film is really a great film and along with Menace II Society, I would recommend you to watch. You won’t be disappointed. 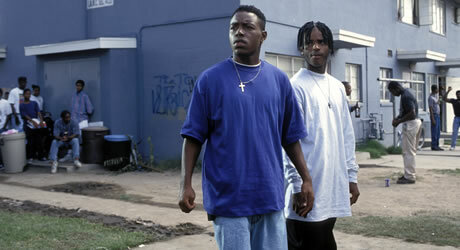 Finally after so many years I have watched “Menace II society”. It is such a brilliant, meaningful film which you are instantly hooked to. 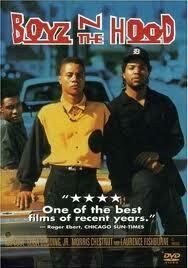 When I was planning to watch it people kept telling me that this film truthfully portrayed black life in the hood. I have never lived in the projects and although some people like to wish, that their area in England was the same, Britain does not have the ghetto. They may have a rough area (which country doesn’t) but if some of these British boys were sent to places in America, Mexico, South Africa, Jamica, Brazil e.t.c. Then they would really know what the ghetto was like. 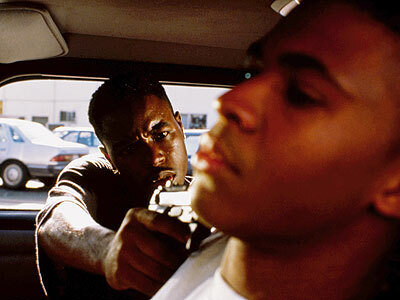 To me the film doesn’t have much of a storyline, it’s more about us following Caine Lawson’s (Tyrin Turner) story about real life in a tough inner city neighbourhood. I would really recommend watching this film. The opening briefly shows Caine getting caught up in a grocery store shooting with his friend. This was a chilling way to open the movie, as it shows how easy it is for someone in the ghetto to get caught up in the moment and kill someone. During the opening credits, we see footage of the Watts riots that took place during the 60’s. Caine narrates the story of his life, explaining how after the riots, drugs came into effect, and affected his home life as a child. After loosing his parents on at the hands of drugs, he was sent to live with his Grandparents. His Grandparents love him, but they struggled to raise him and tried their hardest to keep him out of trouble. 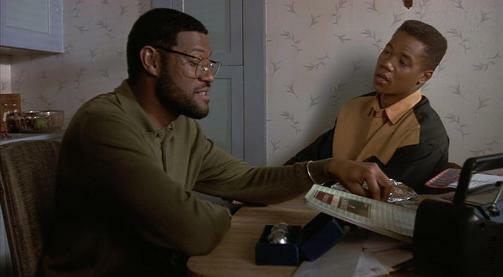 Not too long into the movie, after we learn about Caine’s early life, we see him graduate from High School. He hopes to leave the life of violence that surrounds him in his neighborhood. After falling victim to a violent car jacking, he is brought into violence and crime himself. As the story progresses, and things spiral downward for Caine, he ends up in a hell of a jam and tries to make a way out of it all. This is an incredible movie. It perfectly balances the ugly crime life and murder of tough inner city neighborhoods, Caine’s own personal troubles, police brutality, and drugs. This is a powerful movie with a great story.